The small fishing village Vernazza is probably the most characteristic of the Cinque Terre and is classified as one of the most beautiful villages in Italy. 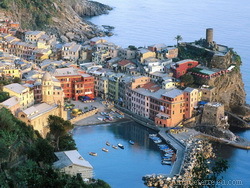 Vernazza was founded about 1000 A.D. and was ruled by the Republic of Genoa starting in 1276. The medieval castle, Belforte, was built in the mid-1500's, primarily to protect the village from pirates. 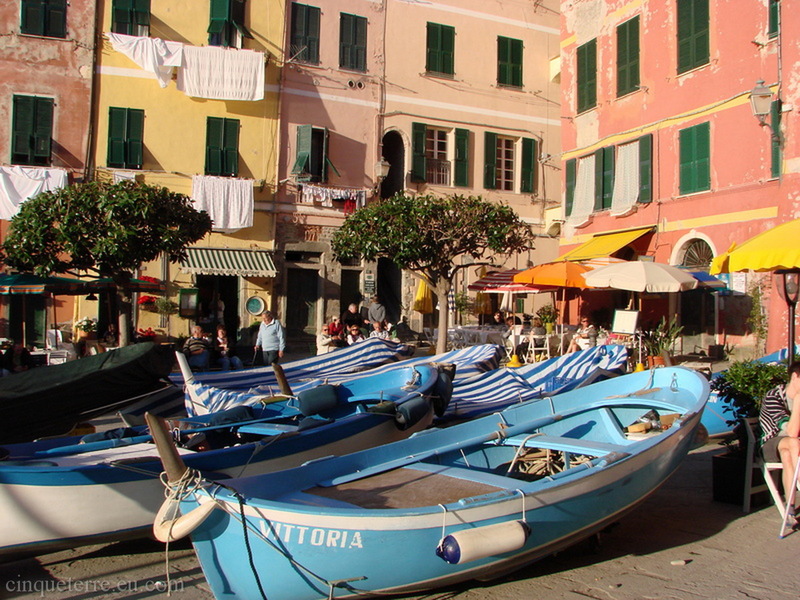 An ideal way to arrive to this breathtaking village is by sea. 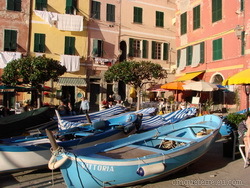 The tiny port is surrounded by subtle colourful pastels and the charming piazza is lined with good restaurants and bars. The village is surrounded by very steeply-terraced olive groves which are said to produce among the finest olive oil in the country. 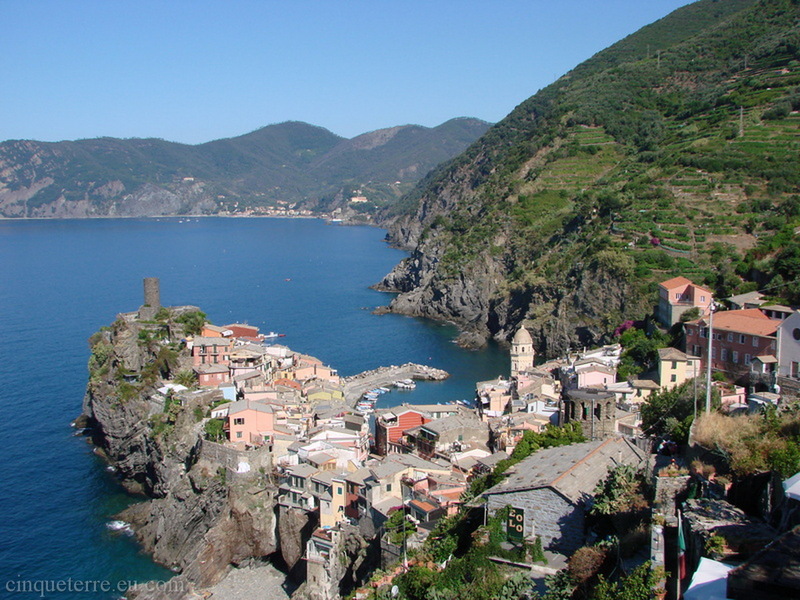 • The Tower of the Doria Castle, built in the 15th century to protect the village from pirates, is located above the bay and the small port of Vernazza. • The Feast of Pirates (no precise date).